Share the post "CommScope Infographic"
CommScope is a multinational telecommunications company based in North Carolina, United States. CommScope has over 15,000 employees worldwide, with customers in over 130 countries. 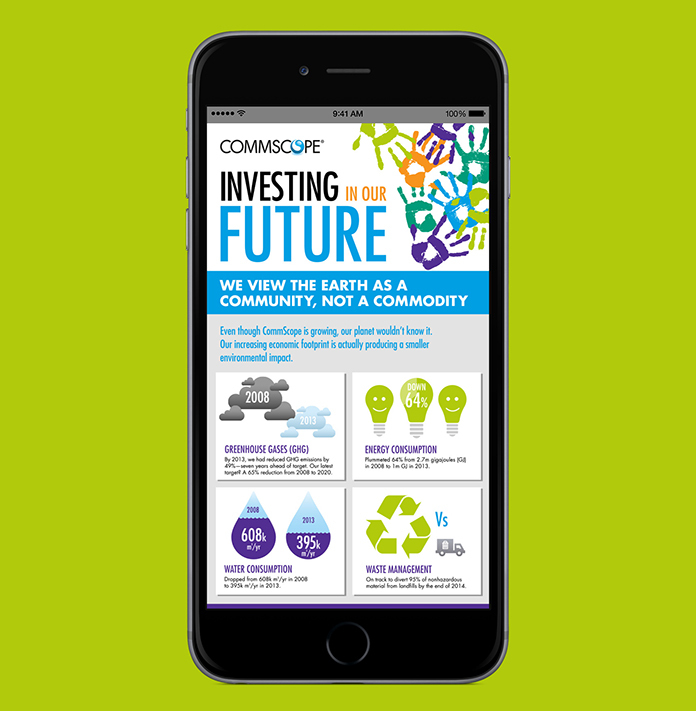 Working with collaborators Futurity Media, I was asked to design and illustrate an infographic to display CommScope’s environmental achievements over the last year.